Sunday’s brief hot fire test of the Falcon 9 marked the culmination of weeks of frantic work as SpaceX rushed to bring the LC-39A launch pad on line after Space Launch Complex 40 a few Kilometers to the south received significant damage in the September 1st explosion of a Falcon 9 rocket. 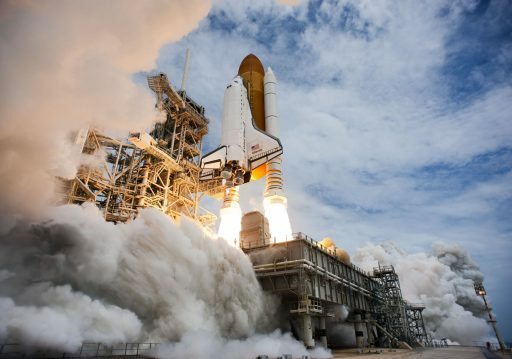 It was the first time a non-NASA launch vehicle lit its engines on the grounds of the Kennedy Space Center. Sunday’s Static Fire Test came in advance of a February 18 launch attempt with the Dragon SpX-10 mission, SpaceX’s tenth operational cargo run to the International Space Station and the first Dragon mission since July. 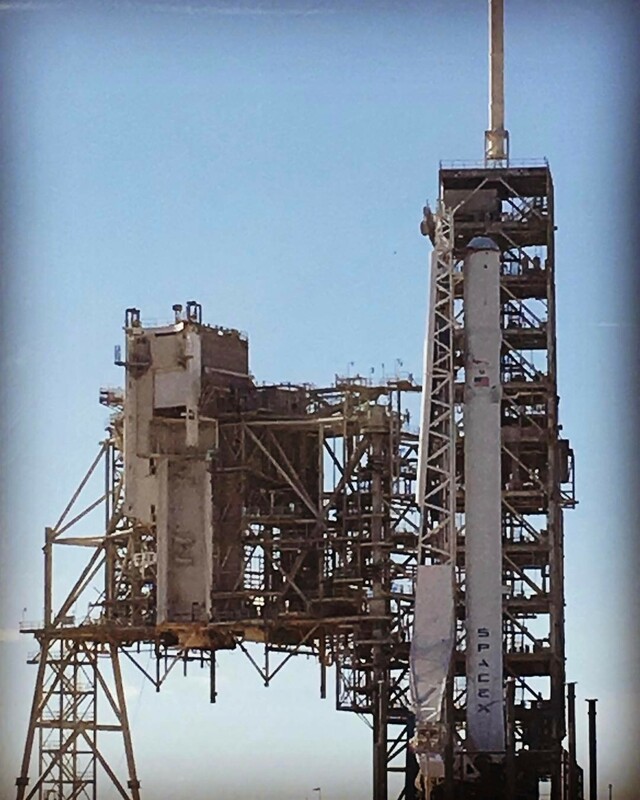 Launch Complex 39A was handed over to SpaceX in 2014 after more than five decades of operations under NASA, seeing off crews to the Moon and sending numerous modules of the Space Station into orbit. LC-39A’s history dates back to 1962 when NASA’s path had been firmly set toward the Moon by President Kennedy and the agency was looking into acquiring land to build the launch base for the mighty Saturn V rocket. Construction of Pad 39A finished in 1965 followed by final outfitting to enable the complex to receive its first rocket in August of 1967. Over the next five years, Pad 39A was called upon for all Apollo missions to the lunar surface. 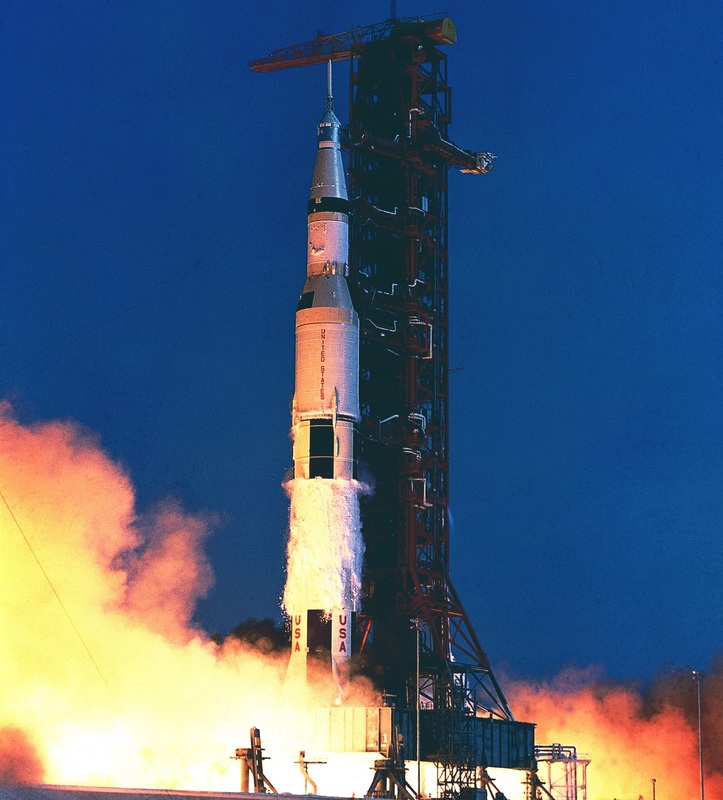 Following its role in humankind’s first steps on the Moon, Pad 39A supported one final Saturn V launch in May 1973, lifting Skylab into orbit as America’s first space station. To date, this marks the last uncrewed launch to occur from Pad 39A. In the 1970s, LC-39 was re-built to support the Space Shuttle Program with the first Shuttle stack arriving at 39A in 1979 when the Enterprise pathfinder vehicle underwent fit checks and validation of all ground systems in preparation for the debut of the Space Shuttle in 1981 with the historic launch of Columbia – also from Pad A. Launch Complex 39A supported the first two dozen Shuttle missions including the inaugural flights of the original Shuttle fleet of Columbia, Challenger, Discovery and Atlantis. The first construction flight of the International Space Station, Endeavour’s STS-88 in 1998, took off from 39A and was followed by the Shuttle’s transition to an orbital assembly vehicle, establishing a permanent human outpost in Low Earth Orbit. Pad A’s history also includes the tragic loss of Space Shuttle Columbia that broke apart during re-entry following a January 2003 liftoff from 39A. LC-39A was last touched by flame on July 8, 2011 when Space Shuttle Atlantis embarked on Mission STS-135, marking the end of an era and sending Complex 39 into uncertainty as no concrete plans existed for the future of at least one of the two launch pads. NASA planned to keep 39B and turn it into a ‘clean pad’ to allow it to host multiple users including the giant Space Launch System that will send humans on missions Beyond Earth Orbit. After supporting 82 Space Shuttle Missions, Pad 39A remained dormant for three years before SpaceX officially took control over the facility on April 14, 2014 with a 20-year lease from NASA. SpaceX planned to re-fit Pad A for use by the company’s Falcon 9 and Falcon Heavy rockets, eventually shifting all Space Station missions to KSC to free up Space Launch Complex 40 at Cape Canaveral Air Force Station for commercial Falcon 9 missions. 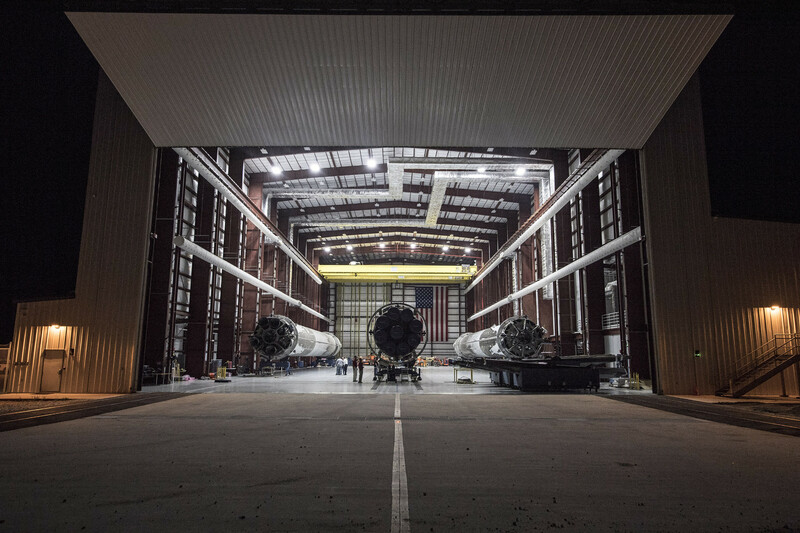 Although the 39A re-build was never a priority for SpaceX, progress could be seen in 2015 when SpaceX established a large Horizontal Integration Facility (HIF) on top of the former crawlerway leading to the launch pad. 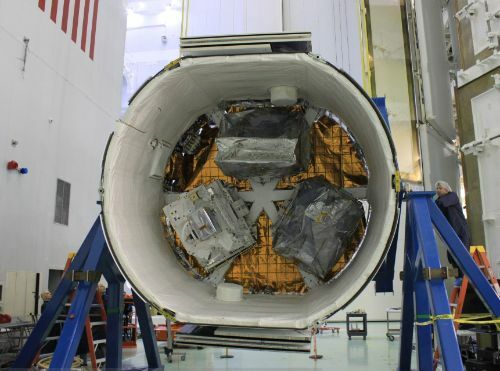 Starting in late 2015, the HIF became a provisional holding facility for recovered Falcon 9 first stages, at one point facilitating four cores for eventual re-use or further testing. Work also progressed on the pad itself. SpaceX decided to leave the Fixed Service Structure and portions of the Rotating Service Structure of the former Shuttle pad in place to eventually build the foundation for crew access to the human-rated version of the Dragon spacecraft. Changes were needed on the various commodity lines feeding propellant, purge flow, data and electrical power to the launch vehicle and SpaceX also put in place a modified sound suppression system and a tank farm for Falcon’s Kerosene fuel. 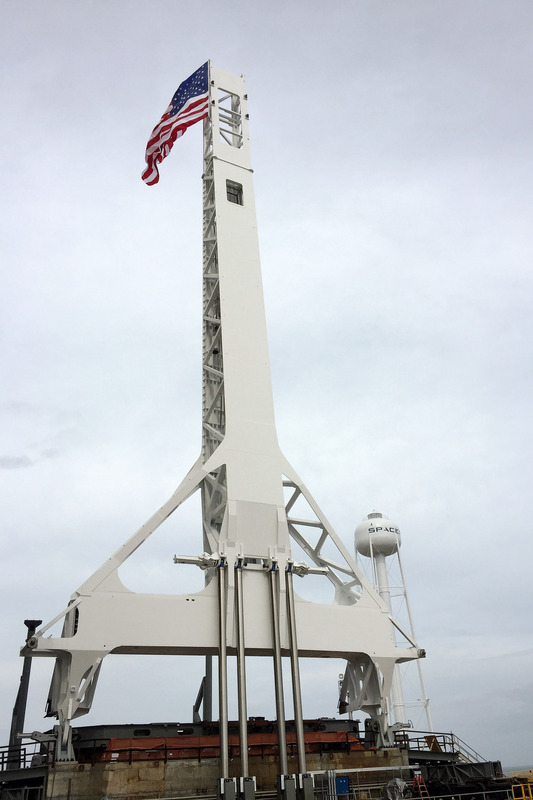 The Transporter-Erector-Launch device capable of supporting Falcon 9 and Falcon Heavy rockets made its first appearance at LC-39A in early 2016 but it would not be for another full year that the TEL actually carried a rocket to the launch pad. 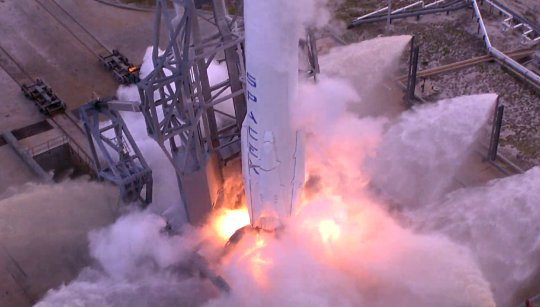 Readiness of Launch Complex 39A was catapulted to the top of SpaceX’s priorities list when the company’s Falcon 9 rocket suffered a catastrophic failure during a routine Static Fire Test performed at SLC-40 on September 1, 2016 – not only claiming the loss of the 70-meter tall rocket & the $195 million AMOS-6 satellite, but also leaving the launch pad badly damaged and out of commission for at least half a year. SpaceX successfully returned Falcon 9 to flight in January with the Iridium-1 mission from Vandenberg and hoped to be able to fly the first mission from LC-39A around two weeks later with EchoStar-23 at the top of the East Coast manifest. 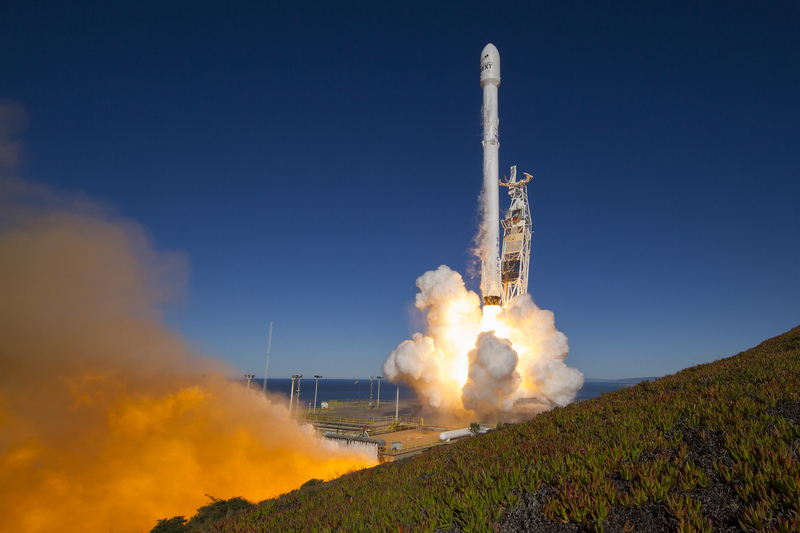 However, despite working on a 24/7 schedule, SpaceX was not able to manage a late January liftoff and decided to re-order missions with the Dragon SpX-10 resupply flight taking priority under the company’s commitment to NASA. The TEL was spotted at the launch pad in late January to undergo fit checks and validation of its rapid retract feature that differentiates it from the TELs of SpaceX’s other launch pads. Tests of the sound suppression system were performed and, by early February, SpaceX was reported to be in the final phase of reviewing the pad’s readiness. At the same time, the Falcon 9 rocket was assembled inside the HIF before being placed atop the TEL for rollout, initially aiming for a Static Fire around mid-week. Falcon 9 ultimately rolled out on Friday in hopes of achieving a Static Fire later that day, but the attempt was quickly canceled in favor of additional fit checks between the rocket and the all-new ground support systems at 39A. SpaceX CEO Elon Musk posted a picture Friday afternoon of Falcon 9 standing vertically atop its KSC launch pad for the first time. 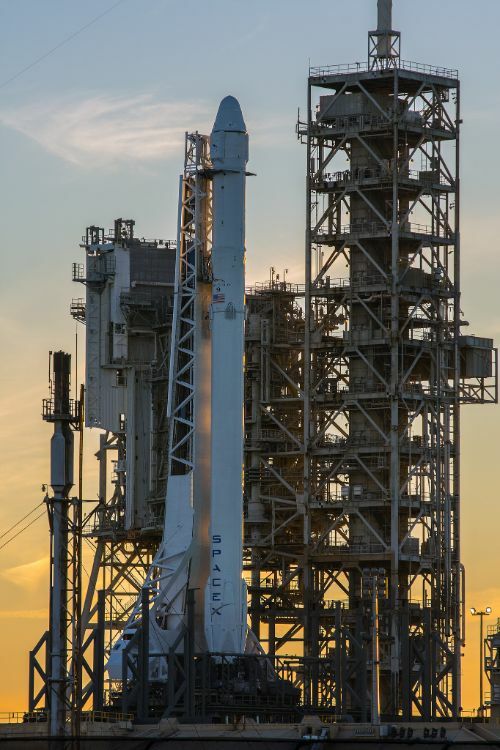 With fit checks out of the way, Falcon 9 was ready to head into its tanking sequence on Saturday, however, the ground propellant system was not. Teething issues during tanking were fully expected given the new propellant handling system had never been used to load a rocket before. SpaceX engineers used the time on Saturday to run a series of propellant flow tests before abandoning plans for a Static Fire. Falcon 9 returned to a horizontal position for tweaks of the ground propellant system before being raised to vertical again on Sunday. In case of any more teething problems, SpaceX requested a long window of 10 a.m. through 6 p.m. and the T-0 for the day’s hold-down fire was once again a moving target. As could be expected, the day’s activities pushed well into the window before observers could note oxygen venting from the two-stage rocket that was still missing its payload, now standard practice for Static Fire Tests. The Static Fire has been an integral part of every SpaceX launch campaign to date as an exercise of the integrated launch system as well as all associated systems on the ground, the latter being the primary focus on Sunday to ensure Pad A is operating as advertised to get Falcon 9 ready for liftoff. Persistent venting was noted just after 21 UTC indicating Falcon 9 had begun loading its tanks with 500 metric tons of sub-cooled Liquid Oxygen and chilled Rocket Propellant 1. Falcon 9 and, more importantly, the ground systems were well behaved as the countdown entered its final minutes and a series of steps were checked off to prepare for ignition, notably the transfer to internal power, engine chilldown, the completion of LOX loading on both stages and the pressurization of all tanks. Ignition was confirmed at 21:30 UTC as Falcon’s nine Merlin 1D engines soared up for a brief moment and flames erupted again from the storied flame trench at LC-39A that so far supported 94 rocket launches. Per standard Static Fire Procedure, Falcon 9 was put back in a safe configuration while engineering teams conducted a quick examination of telemetry gathered during the burn to ensure the planned fire duration was achieved and all necessary data was collected. Confirmation of a good test came forward via a Tweet from SpaceX, indicating all had gone smoothly. 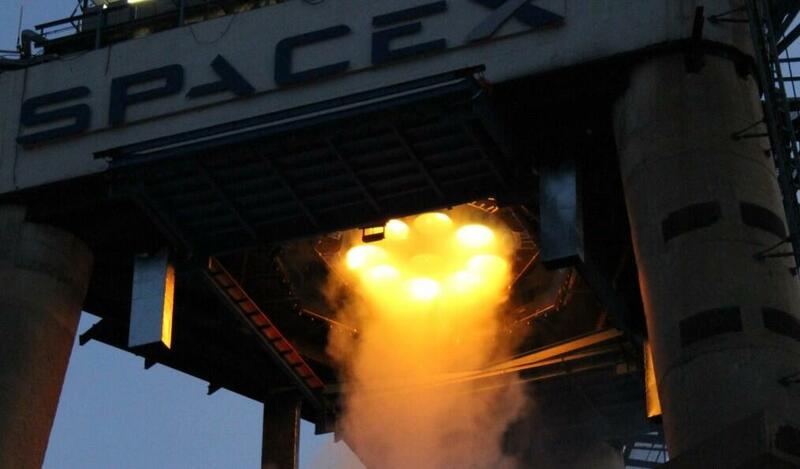 In-depth reviews of the Static Fire test will be completed in the next several days, leading into the Launch Readiness Review that will provide the final clearance for Falcon 9’s debut launch from the Kennedy Space Center. For the rocket itself, the next step will be the integration with the Dragon spacecraft followed by late cargo loading and the return to the launch pad several hours before the planned launch time. 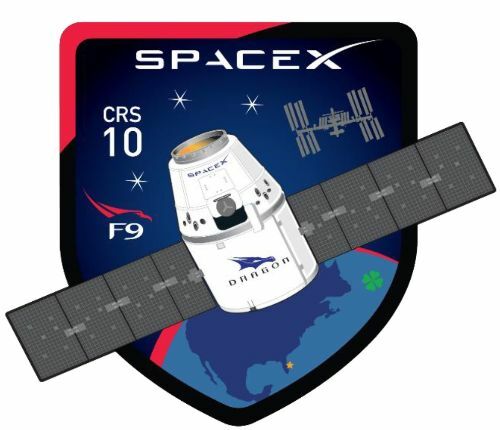 Dragon SpX-10 is targeting liftoff at 15:01 UTC on February 18, pending successful completion of the Launch Readiness Review. This mission is expected to open a reign of three cargo missions to the Space Station expected in a period of just four weeks. The Progress MS-05 spacecraft is aiming for launch on the 22nd of February to mark the first Russian cargo delivery after the failure of a Soyuz U rocket carrying Progress MS-04 into orbit back in December. Not too far from Falcon’s new launch base, Orbital ATK’s Cygnus spacecraft has entered its final processing operation in anticipation of a March 20 (UTC) launch atop an Atlas V rocket.